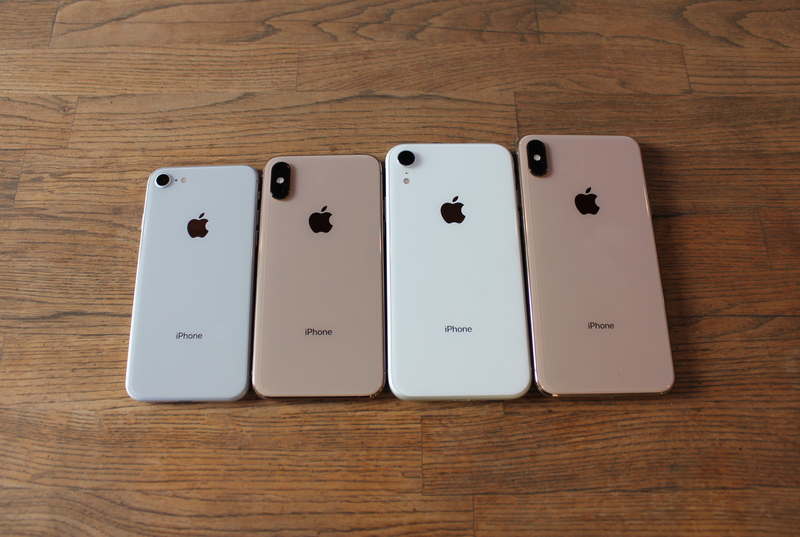 Enlarge / From left to right: the iPhone 8, the iPhone XS, the iPhone XR, and the iPhone XS Max. Apple will not introduce an iPhone capable of taking advantage of faster 5G cellular data networks in 2019, a report from Bloomberg says. Citing people familiar with Apple’s plans, the report specifies that Apple will wait until “at least 2020” to make the move. 5G networks are expected to ramp up deployment in the US, China, and other Apple markets in 2019. 5G promises one of the biggest generational leaps in cellular data speeds yet, and Apple competitors like Samsung are likely to market 5G handsets next year to capitalize on it. Further, networks like Verizon want to lead users onto the new 5G networks as soon as possible because the technology is more efficient and will ensure that the companies can make higher profits while theoretically offering the most reliable service. Investors and analysts might have reason to be concerned that Apple will miss a major marketing opportunity if it waits too long to adopt the new technology, the Bloomberg report suggests. This is not the first time Apple has come to a new wireless technology late. The very first iPhone famously launched in 2007 with support for only a 2G network despite the availability of a much-faster 3G network at the time (that was remedied the very next year with the iPhone 3G). And 2011’s 3G iPhone 4S came after users on competing platforms were enjoying the 4G network that remains the standard today. In the past, the company has explained these decisions by saying that the networks were too nascent when they launched—that they offered modest speed boosts but sometimes inadequate coverage until they were built out more. However, the companies and other advocates pushing 5G argue that this will be a greater seismic shift than previous new standards. This time around, Apple’s decision may be related to its difficult relationship with chipmaker Qualcomm, which is arguably the industry leader for cellular modems. Qualcomm has developed chipsets for Android phones that support 5G, but lawsuits and more have driven a rift between the two companies. However, the 2019 phones that support 5G will not do so without compromise; Qualcomm’s plans include 5G modems that are discrete from the system-on-a-chip (SoC) that includes a phone’s CPU, GPU, and, usually, the modem. This could have some ramifications for space in phones for other components, and thus for battery life—modern handsets are mostly battery, after all, and every millimeter counts. However, iPhones already have discrete modems, unlike many Android phones. Apple might believe that the move to 5G is premature, or its hands might be tied by the fact that its preferred modem partner (Intel) is not ready for the transition. Many consumers probably won’t complain about the gap in 2019, but as the networks improve in 2020 (and if those networks are as good as proponents promise), Apple will have to move quickly to satisfy customers.